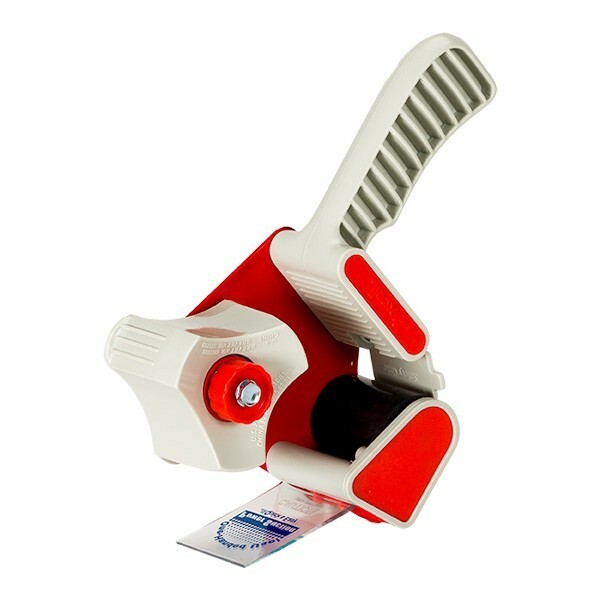 Plastic tape dispenser with brakes. 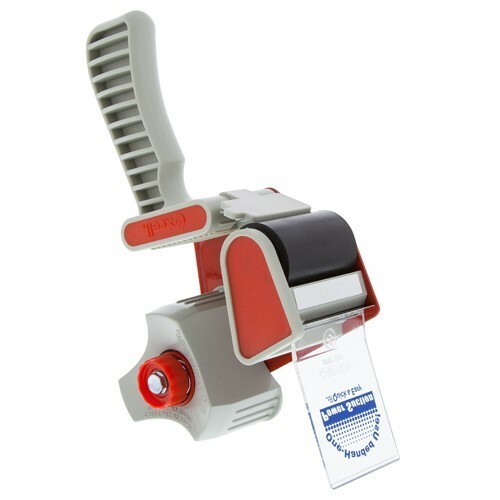 This red tape dispenser is suitable for all kinds of packing tape, especially for low noise PP tapes. The adjustable brake you decide how heavy rolls the tape. 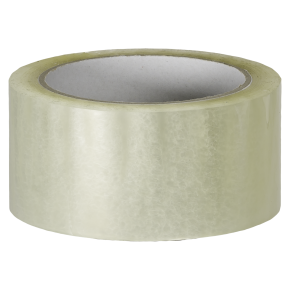 The maximum width of the tape is 50mm.